Joana Picq is a civil engineer turned mobile adtech entrepreneur. 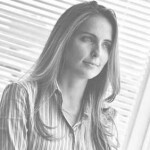 She is head of International at Jampp, a global specialist in user acquisition and user engagement for mobile apps, with offices in UK, US, Germany, Argentina, Mexico, Brazil and South Africa. Prior to Jampp, Joana spent 4 years at Microsoft doing business development across Europe, Middle East and Africa, then founded multiple startups in Europe and Brazil, and eventually worked as Entrepreneur in Residence at X.MillionCapital. She is an advisor for Brothers for All, teaching inmates how to code in African prisons, and mentors multiple startups across the world. Joana is French-Brazilian and based in Cape Town, where she surfs, trail runs, mountain bikes and meditates.